Divisional Round Picks: Will America Get Some Well-Deserved Upset Specials? Can Case Keenum outduel Drew Brees in his first-ever playoff game? It’s not often a team coming off a first-round bye is a home underdog. It’s not often a career backup is favored against a future Hall of Famer. It’s not often we talk about anybody other than the Patriots or Steelers in the AFC. Yet, here we are — the most exciting weekend in sports, as Chris Berman used to say. After a 2-2 record last weekend (as was the case last year for me, when I followed by going 6-1 the rest of the playoffs), I’m looking for lightning to strike twice. This really isn’t fair. The Falcons are the only team to return to the playoffs from 2016, and if the Eagles had a healthy Carson Wentz, they’d be the runaway favorite. Instead, it’s Nick Foles and the suddenly-lifeless Eagles at home against the surging Falcons. Only now has Atlanta finally figured out how to use a ball-control offense and play with a lead, about 11 months too late. But the defense is rolling and the 2016 MVP has found the hot hand again. Matt Ryan will have his hands full in his Philadelphia homecoming with a fierce Eagles defensive line, but Foles would have his hands full no matter who he plays. The Eagles’ dream season ended with Wentz’s heroic scramble against the Rams in Week 14, so a Falcons win feels like a mere formality at this point. Pick: Falcons. Really? Again? As if it isn’t bad and predictable enough that the Patriots are the top seed in the tomato can-riddled AFC for a 35th straight year (okay, it’s “only” their eighth straight year with a first-round bye), the opponent is basically not the one it should have been. The Chiefs, with a healthy Travis Kelce, might have had a shot, especially after whipping the Patriots late in a 42-27 win in week 1 and going up 21-3 at halftime on the Titans. But Tennessee, who I thought was the weakest playoff team of the 12, pulled out a miracle and now gets to be the sacrificial lamb that the Tim Tebow-led Broncos were in 2011 and the Brock Osweiler-led Texans were last year. Marcus Mariota might make a few plays, but Tom Brady will make more. Consider it a “Music City Miracle” if the Titans can even keep it close at halftime. Pick: Patriots. The thing that bothered me most, and should have bothered any Jaguars fan or Steeler-hater, were Ben Roethlisberger’s pouty comments after his five-pick game in Week 5. Rather than tip his cap to the NFL’s best pass defense, Roethlisberger created a mini-stir by speculating that maybe he just didn’t “have it” anymore. That is a bunch of baloney, and undoubtedly this Jaguars team will be fired up to prove to the Steelers that their 30-9 beatdown in Week 5 wasn’t a fluke like the Steelers seem to think it was. Blake Bortles is a liability, so the Jags need to ride Leonard Fournette as they did in that first matchup. It’s fair to question Antonio Brown’s health after his calf injury against New England, but he’ll have his hands full with the Jags’ secondary regardless. Bortles needs to limit his mistakes (as in none whatsoever), but my hunch is that this one will be close either way. Jacksonville can look back a decade for some inspiration — ten years ago, the Jags behind David Garrard (!) won at Heinz Field in Week 15, then repeated the trick three weeks later in the wild card round. Pick: Jaguars. Case Keenum favored by five points over Drew Brees? The Vikings’ defense is really good, but Keenum’s first playoff start doesn’t figure to be a smooth ride, and the Saints have a solid defense as well. 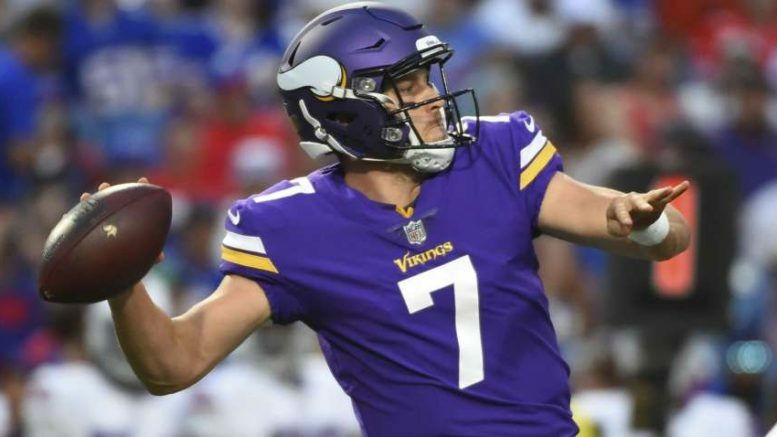 Trust the Super Bowl winning QB here that has plenty of weapons at his disposal, and the Vikings have rarely had to rally from behind this year. If they get put in that situation, that favors New Orleans big time. Even if the Vikings do pull out a win, it will be close. The last time these two teams met in the playoffs, we got an overtime thriller in the 2009 NFC championship game, won by the Saints en route to a Super Bowl XLIV title. Pick: Saints. Be the first to comment on "Divisional Round Picks: Will America Get Some Well-Deserved Upset Specials?"